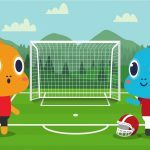 This article is the second half of our two-part -Masu Form article series! In the first section of this article, we will briefly review what -masu form is, and how to make a -masu form verb. 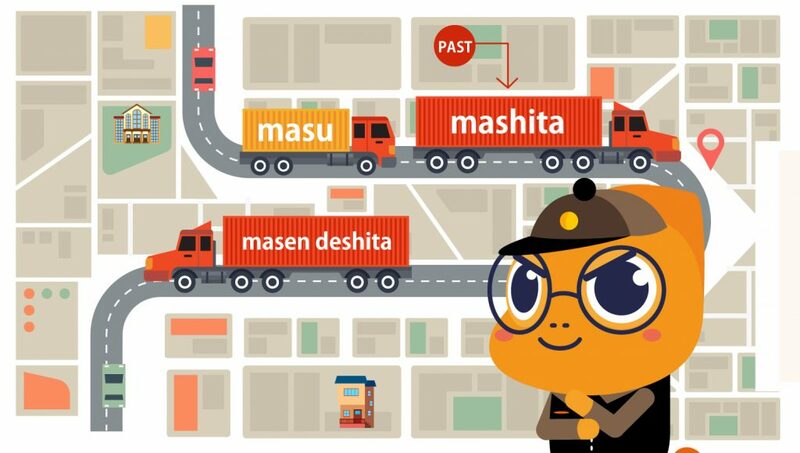 If you just came from our first -masu form article and do not need a refresher, skip to the second section, where we will discuss -mashita and -masen deshita. Or, if you’d like to look over the first -Masu Form article before reading this one, click here. If you’d like to read about other Japanese verb conjugation patterns or other Japanese grammar patterns, click here. 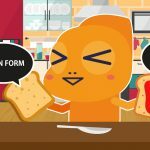 Review: What is -masu form? Usually, -masu form verbs are the first type of verb you are taught to use when beginning to learn Japanese. This is because -masu form verbs are quite easy to create, use, and conjugate; and also because they are fairly polite. To make a -masu form verb, you will first need to turn your Dictionary Form verb into a verb stem. To learn how to make a verb stem, please see our Stem Form article here. Once your verb is in stem form, simply attach ます masu to the end of the stem, and your verb is in -masu form. A -masu form verb and the dictionary form verb it was built from are the same tense (present/future) and mean essentially the same thing; the -masu form verb is just more polite. At 8:00 I will wake up. As is the case with Dictionary Form verbs, if no person is mentioned in your -masu verb sentence, it will probably be assumed that you are talking about either yourself or whoever was most recently a topic of the conversation. 起きます okimasu could technically mean “I/he/she/they/etc will wake up,” all depending on context. Even if -Masu is the only conjugation pattern you know, all you need to do is add linking words between some your sentences to make a short narrative (For more information on linking words, click here to see our Linking Words and Phrases article). Sore kara, ko-hi- o nomimasu. After that, I will drink coffee. Juu ji ni tomodachi ni aimasu. At 10:00, I will meet my friend. In our first -masu form article we went over using -masu form in the present/future tense and the negative present/future tense. 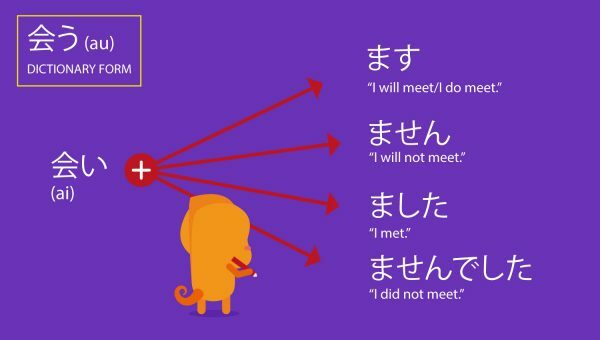 In this article, we will be going over using -masu form in the past tense and the negative past tense. The great thing about -masu form is that, to change tense, you just need to switch out which -masu ending you are using with your verb stem. 会う au is the dictionary form of the verb “to meet,” and 会い ai is the stem form of 会う au. So much simpler than English! 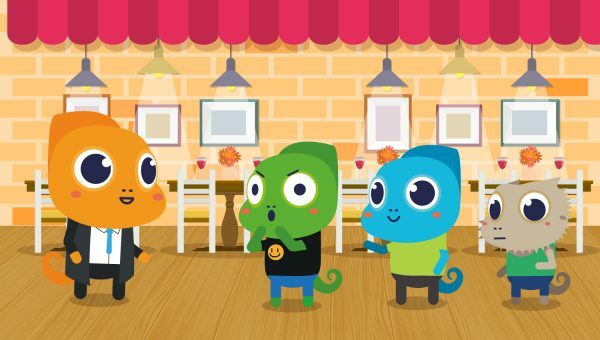 Tomodachi ni aimasen kara, hirugohan o kafe de tabemasen. I will not meet my friend, so I will not eat lunch at a café. I will not play/hang out at the park. Okaasan to kafe de purin o tabemashita. I ate pudding at a café with my mother. Sorekara, ie ni kaette nemashita. After that, I went home and slept. Gogo hachi ji goro okimashita. I woke up around 8:00 pm. Now that you’ve seen some sentences using the -mashita ending, let’s continue our narrative a little further and look at some sentences using the -masen deshita ending! Kinou wa ichinichijuu nete shimaimashita kara, kyou no kuizu ni deru tango o benkyou shimasen deshita. Yesterday I ended up sleeping all day, so I did not study the vocab that will be on today’s quiz. Kesa, tango o benkyou shimashita kedo, kuizu ni tadashii kotae o kakimasen deshita. This morning, I studied vocabulary, but I did not write the correct answers on the quiz. Sore ni, kyou mo tomodachi ni aimasen deshita! On top of that, today also I did not meet my friend! Kawa-chan’s last couple days don’t seem to have gone so well. But, at least she got to eat pudding! 1) The politeness of a Japanese sentence is determined largely (although not entirely) by the way the final verb or copula in the sentence is phrased. 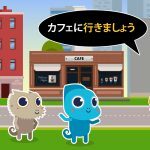 Our sentence above (友達に会いませんから、昼ご飯をカフェで食べません Tomodachi ni aimasen kara, hirugohan o kafe de tabemasen) has two -masu verbs in it, and so is quite polite. 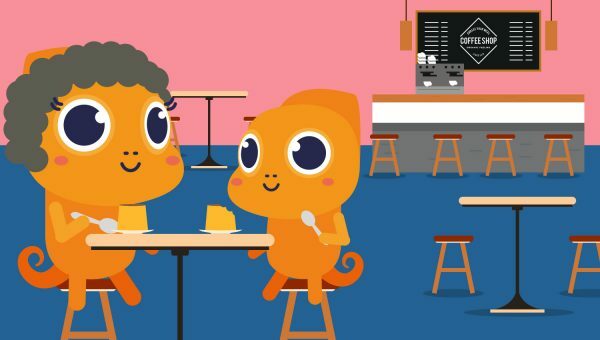 It would still be a polite sentence if the verb before the comma was in plain/casual form (友達に会わないから、昼ご飯をカフェで食べません Tomodachi ni awanai kara, hirugohan o kafe de tabemasen) because the final verb is still in -masu form. When speaking or writing formally, you may want to use -masu form for both your ending verb and your middle-of-the-sentence verbs. However, if you are speaking casually or semi-informally and just using a -masu form verb at the end of your sentence to sound polite, verbs within the sentence can (and should, to avoid sounding too formal!) be in casual form. 2) Be careful not to make TOO many verbs in your sentence -masu form! In the example sentence in note 1, 会いません aimsen can be in either casual or -masu form because it comes at the end of a phrase. However, the 出る deru in our earlier sentence (今日のクイズに出る単語を勉強しませんでした Kyou no kuizu ni deru tango o benkyou shimasen deshita) would sound very strange (and grammatically incorrect) if it were in -masu form, because it is not at the end of its phrase. Instead, it is in casual form. If the verb is at the very end of a sentence, it is definitely ok. If it is at the end of a phrase and is followed by a linking word such as “but” or “so/because,” it is probably ok to use a -masu verb (but may sound more natural not to). If your situation meets neither of those conditions, you may want to not use a -masu verb, or change how your sentence is structured. Kyou no kuizu ni tango ga demasu. Tango o benkyou shimasen deshita. Vocab will appear on today’s quiz. I did not study vocab. That’s all on -Masu Form for this article! For more articles on Japanese conjugation patterns, such as the conjugation patterns for plain/casual verbs or for -Te Form, click here! Also, check out our Library for a series of Free verb flash cards! Try making a few sentences or a short narrative, and share what you’ve written as a comment! If you’d like a refresher on particles (は wa, が ga, を wo, に ni, から kara, etc) and how to use them before you make your sentences, click here to view all of our particle articles. And as always, leave us a comment if you have any questions!